Two of Allan’s High Five albums this year were released on Drumfire Records so it was a ridiculously obvious choice to ask the owner of the label (and live music promoter) Phil Penman to contribute to this feature. Once again, we got some really interesting choices. When Allan ask me to contribute to High Fives, I thought that it would be easy – just pick five albums, I thought. But I wracked my brains and (not including Drumfire Records releases) I could not come up with a single 2014 album I thought was truly ‘great’. 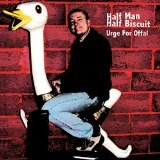 A dozen or so ‘good’ albums but nothing to change my life. Maybe I just haven’t found them yet. So what did excite me in 2014? I Love My Job Sometimes. 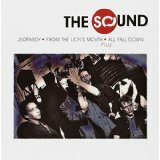 The Sound – “Box Set #1” (“Jeopardy”, “From the Lion’s Mouth” and “All Fall Down”). Privileged to work on this and truly delighted with the results, and even happier to be working on a second box set for Feb 2015 release. Adrian Borland is sadly missed. The music from this great band has really stood the test of time. Consistently high standard. One that nearly got away. Not from 2014, but new to me. 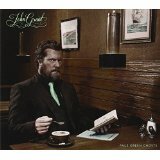 John Grant – 2 albums of enormous beauty that I’ve listened to more than any others: “The Queen of Denmark” and “Pale Green Ghosts”. It was hearing these that made me realise how much I crave music that is new to my ears and not just the latest in a succession from artists I already know and love. 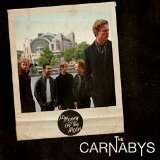 Great to see local boys The Carnabys release their debut album “No Money on The Moon”. Great hard working lads, winners of Hard Rock Rising and an album that really exudes the energy and honesty they deliver live. These boys perform with smiles on their faces, which is so refreshing – not po-faced, earnest trying-too-hard-to-be-trendy. Not ground-breaking perhaps, but if you get a chance, see them live. With the right breaks they could be huge. Accessible rock. Ok, so I couldn’t not mention it. Drumfire released two albums in 2014 and both made Allan McKay’s High Five. We made our first ever piece of vinyl – Ags Connolly’s ‘How About Now’, we hosted great shows with Dean Owens, Martin Stephenson, and Clive Gregson…. but my favourite thing? Phil Burdett’s launch show in Westcliff. I’d only ever seen Phil perform solo. The launch show with full band made me fall in love with his music all over again. World, you don’t know what you are missing. In parting, I’ll add that I’ve really tried to find new music, and the following half a dozen albums definitely deserve honourable mention (and barely a country album in sight): FKA Twigs, Future Islands, Sturgill Simpson, Royksopp, Strands Of Oak, Honeyblood.